Car wraps are not all flames and stripes! The great thing about custom car wraps is that they’re designed around your preferences and your needs. No matter what make or model vehicle you have, you’re sure to find the perfect wrap with us. Why? Before our designers even begin creating a vehicle wrap, we meet with you directly to discuss exactly what you have in mind. What sets us apart from the competition is the fact that we pay attention to all of the little things that sometimes get overlooked by other professionals. In our line of work, we’ve learned that the details are everything. From design, to production, to installation, we remain focused on one objective: producing high-quality vehicle wraps that meet our rigorous quality assurance standards. It is only after each and every vehicle wrap has been inspected thoroughly and had our stamp of approval that it is installed on your vehicle. Our professionals don’t see Wrap It Up as just another vehicle wrap company. We’re much more than that. Our designers are artists who use their talent to bring your creative vision to life in brilliantly-colored vehicle wraps. And when it comes to our designers we hire the absolute best in the industry, with years of experience and pride in their work. Because of this, you can always rest assured that you’ll have someone who takes their craft and your vehicle’s appearance seriously. 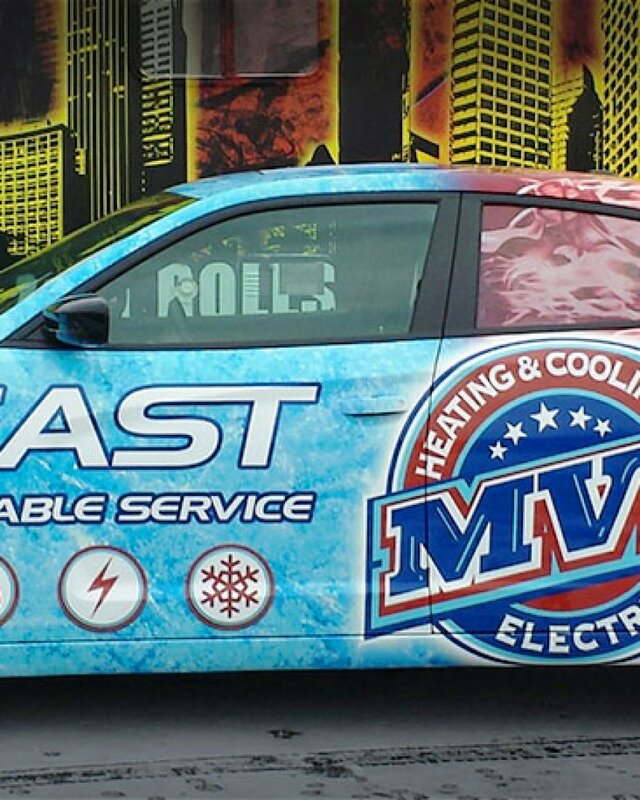 Unlike many car wrap companies in the Kansas City area, we keep every phase of production in-house. When you partner with us, you have the luxury of having access to a state-of-the-art facility that exceeds industry standards. Here you’ll find all the tools needed to produce top-notch wraps. From environmentally sound printers to a contaminant-free and climate-controlled print facility, we have it all. Are you ready to order your full-service car wrap service? Contact our Kansas City-based establishment by calling (913) 948-7752.